Meet five people who turned their City Year experience into jobs where they help educate others. On a pleasant day in mid-September, more than 200 young adults clad in signature red jackets gathered at the Reggie Lewis Track and Athletic Center in Roxbury. The red-garbed 18- to 25-year-olds were there for what has become a rite of passage in Boston and other cities: City Year opening day. As members of City Year AmeriCorps, they will spend the next 11 months working alongside classroom teachers in 29 Boston public schools deemed “high need” by City Year. In exchange, the corps members receive a stipend, health insurance, career training, and money to apply to school or student loans, funded by a mix of public and private money. Many of them will also receive something harder to quantify: a purpose. They give something, too: hope , especially to the schoolchildren they work with. 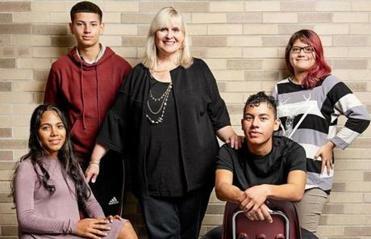 “It has been remarkable to see the same current of idealism show up in young leaders year after year for more than three decades,” says Sandra Lopez Burke, executive director of City Year Boston. City Year has been driven by ideals since its founding 30 years ago by Harvard Law School graduates Michael Brown and Alan Khazei, who started talking about the idea of a national service program when they were in college. To date, approximately 30,000 people have served through City Year. And Brown and Khazei’s program inspired the national program AmeriCorps, which has had more than 1 million members. For years, the types of work City Year members might do varied, but when the organization’s leaders realized they were placing almost three-quarters of their members in public schools, they shifted to focus solely on education. “We wanted to see where our young people could move the needle on something important,” says Brown, now 57, who became chief executive in 2006. During their 10-hour workdays, City Year Boston members greet students as they arrive at school, call homes for every child that is absent, offer academic support during class time, and run after-school programs. City Year worked with 23 Boston schools last year, and at the elementary school level, 84 percent of the students it worked with improved their math performance, and 81 percent achieved higher scores on district performance tests. A 2015 study shows that nationally, schools partnering with City Year, as compared with similar schools that did not, were up to three times more likely to improve on math assessments and up to two times more likely to improve on English assessments. Read: Twenty percent of home-schooled kids are getting ‘unschooled.’ What’s that? Here’s a look at some of the people that City Year has touched, who have gone on to education careers in the Boston area. Kevin Dua’s parents are immigrants from Ghana, and they raised their son to work hard, value education, and count his blessings. 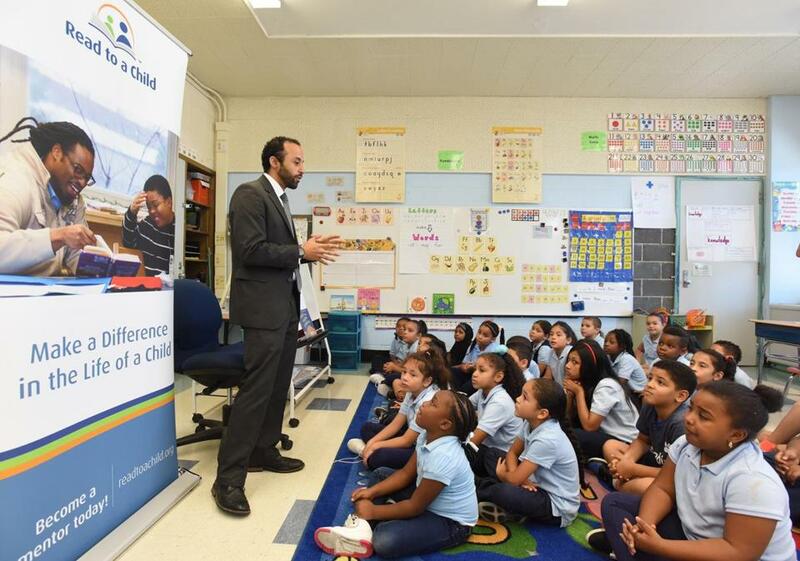 Growing up in Alexandria, Virginia, Dua thought he would like to be an educator. After graduating from William & Mary, he signed up for a City Year and was assigned to Hyde Park’s Renaissance Charter School, then spent a second year at City Year Boston in an administrative role. During these two years, he found his focus — empowering youth, especially young people of color, by educating them about civic engagement and social justice. The 31-year-old has been teaching history for seven years; this is his second year at Rindge and Latin. 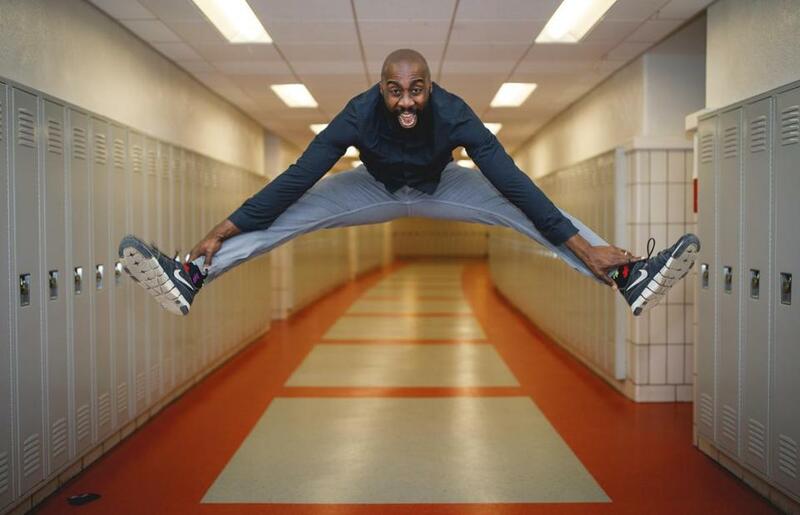 He’s uncommon — African-American men make up only 2 percent of the more than 3 million public schoolteachers in the United States — and effective: Dua was named the 2017 Massachusetts History Teacher of the Year, the first African-American so honored. Recently, in partnership with City Year Boston and the Donovan Urban Teaching Scholars at Boston College’s Lynch School of Education, Dua established a scholarship for any City Year alumnus seeking to become an educator in urban communities. “I was able to pursue my educational career due to City Year, and it’s important that others can be given the opportunity to do the same,” he says. 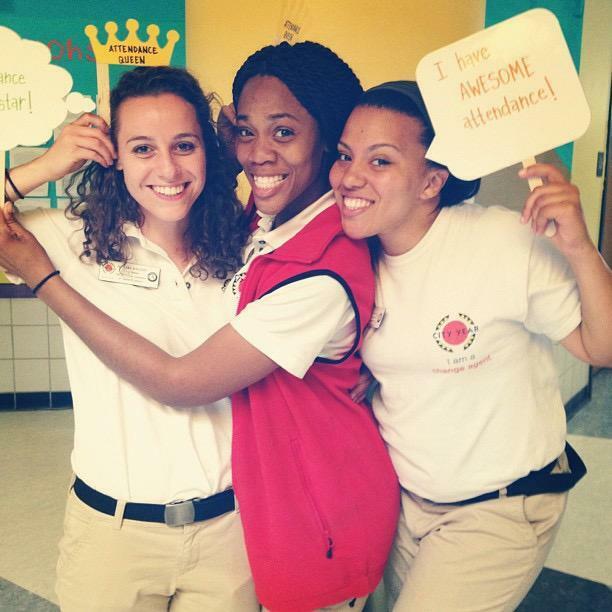 Wensess Raphael (center) developed a passion for mentoring during her City Year. As an eighth-grader at the Academy of the Pacific Rim Charter School in Hyde Park, Wensess Raphael participated in City Year Boston’s Young Heroes program, meeting regularly with a City Year mentor to learn about social justice and participate in community service projects. She became passionate about helping people and vowed to one day join City Year. Her mentor introduced her to his college, Northeastern University, and encouraged her to consider applying. A strong student, Raphael did end up attending Northeastern, studying engineering, to the delight of her Haitian parents. But in her third year, she was drawn back to helping people. She changed her major to human services (with her parents’ support). And she signed up for a City Year. Today, Raphael, 30, coordinates the Boston Public Schools’ four-year-old High School to Teacher Program, which supports students who are interested in careers in education. A City Year member mentors the program’s 20 students. Raphael, doing what she was inspired to do as an eighth-grader, mentored him when he was in the High School to Teacher program. 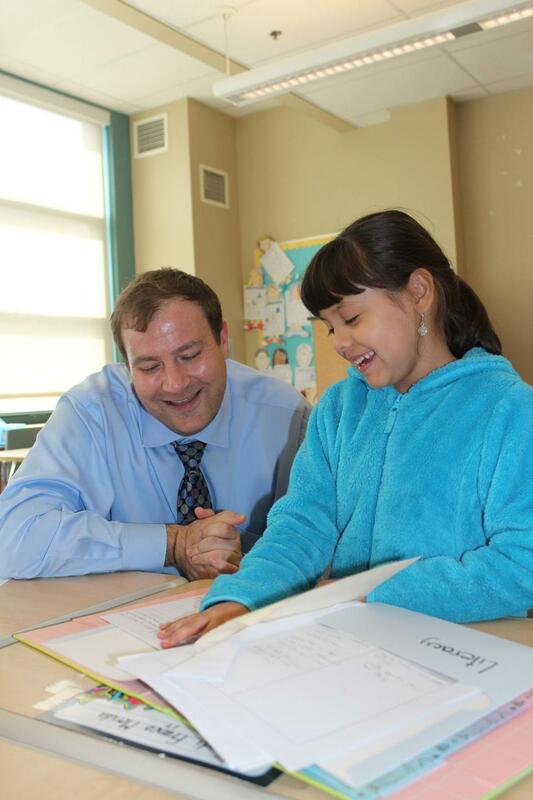 Waltham Superintendent Drew Echelson shares a laugh with Whittemore Elementary School third-grader Miranda Rojos. He got a teaching certificate, and then, with support from City Year, earned a master’s and doctorate from the Harvard Graduate School of Education, while continuing to work in the field. Echelson became an administrator in the Boston Public Schools and led the team that transformed the Mildred Avenue K-8 School in Mattapan from one of the lowest performing in the state to its current top-tier status. Now 42 and superintendent in Waltham, Echelson says he’s still applying the lessons on equity and inclusion he learned as a City Year member. T’Sheba Martin dreamed of becoming a teacher. Martin went on to earn bachelor’s and master’s degrees at Wheelock. 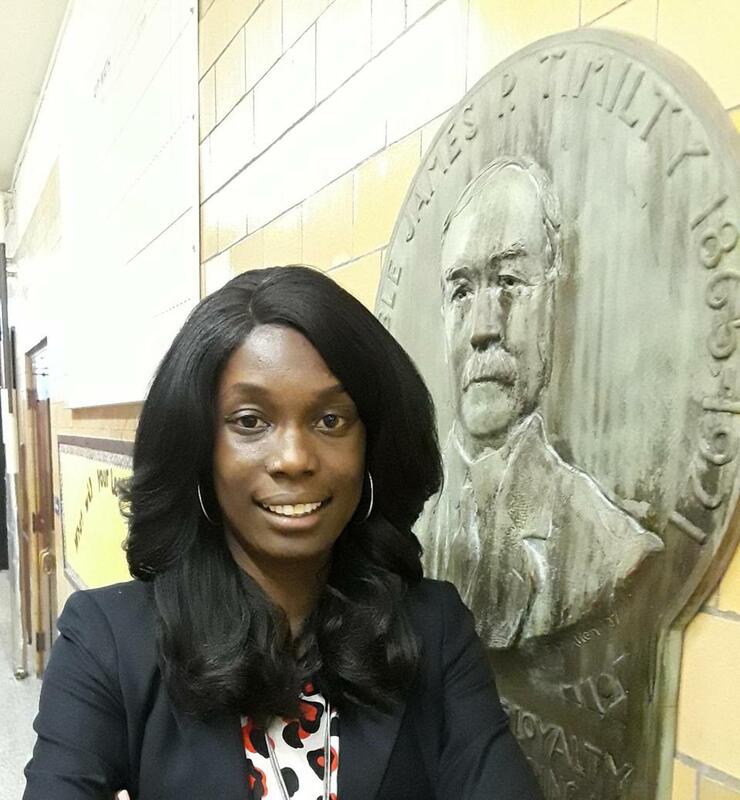 The 39-year-old became principal of Timilty in July 2017 and has had City Year members on site in both school years. “It’s come full circle,” she says. Efrain Toledano speaking to a group of students. As a child growing up in Boston, Efrain Toledano wouldn’t speak to anyone outside of his family, a symptom of a condition called selective mutism. He didn’t talk in school, not to his teachers at Boston’s Blackstone Elementary School, and not to the other children. He had no friends and at recess walked around the playground alone. He was struggling academically. Then in February of his third-grade year, he remembers being called out of class for a small group session with a male City Year member. The young man asked him to say his alphabet. Toledano responded, but only to say, “I don’t know.” The member gave him gentle encouragement, and wouldn’t let him quit. The two of them continued to work together a few times a week, and Toledano slowly began opening up. By fifth grade he was getting A’s and B’s. “It was my turning point,” says Toledano. He talks regularly in school now — he has to, he’s been a principal since 2013. Sandra A. Miller is a writer based in Arlington. Send comments to magazine@globe.com. Get the best of the magazine’s award-winning stories and features right in your e-mail inbox every Sunday.Sign up here.